Charles Tisseyre is an interesting, well-known fellow. (For Anglophones, the spelling of his last name might throw you since it’s not pronounced how it is spelled. Orthographically, it sounds like “Tissère”). For more than 20 years year, he has been hosting a popular science television show, Découverte, on Radio-Canada. We don’t really have an equivalent of Découverte in Anglophone Canada. It’s not quite like Bob MacDonald’s “Quirks and Quarks”, nor is it necessarily an environmental advocacy program (like David Suzuki’s “Nature of Things”). Rather, it’s almost as if the magazine Popular Science went to Hollywood. (Incidentally, if you like “Popular Science”, you might also like the magazine “Science & Vie” from France, which is very similar to “Popular Science” and which is sold in Québec and in French book stores across Canada). But picture Découverte being narrated in a format similar to David Suzuki’s “Nature of Things”, meaning we hear the narrator, his voice is instantly recognizable, but we don’t see his face during the program. That’s Charles Tisseyre. Any time he appears on television or the radio, his voice needs no introduction – we all recognize his voice instantly. But his face is also as well-known as David Suzuki’s or Bob MacDonald’s are across English Canada. Before he became forever associated with Découverte, Tisseyre also hosted the Radio-Canada evening local news in Montréal, and was a journalist in various capacities. He is also the controlling heir of a rather famous publishing house in Québec, geared towards younger readers, named Éditions Pierre Tisseyre (as well known to the public in Québec as perhaps Harlequin Romance would be in Anglophone North America). Recently, over the last three months or so, Tisseyre has been getting a bit of extra attention – for two very different reasons. Radio-Canada is facing major budget cuts from Ottawa and is having to let go large numbers of staff and re-engineer some of its programming. Charles Tisseyre, in his capacity as a prominent Radio-Canada journalist, has taken it upon himself to be the spokesperson on behalf of a group of reporters and employees, to voice their discontent with the decision. He has publicly voiced his worries regarding the impact it will have on the quality of programming and Radio-Canada’s role in society. Sometimes his discontent has been highly public, on Tout le monde en parle for example, as well as at the Radio-Canada general meeting (click here for the officially approved YouTube video of the latter). The second thing to put him square in the lime light is a comedic television advertisement which came out several days ago for the prevention of testicular cancer – and the advertisement has gone viral. Because males of all ages are targeted by the advertisement, the writers decided to give it the greatest impact possible. Although Tisseyre does not appear in the advertisement himself, the voice of the narrator is unmistakenly his – presented exactly in the same format as his TV show Découverte. To set the scene, couilles means “testicles” (the word “testicules” also exists in French, but it is a bit more formal. In the same breath, In Canada we also say “gosses” to mean couilles or testicules – but in France, gosses means “children”. Thus, it’s always fun to hear people from France talk about their “gosses”). A guinea pig is a Cochon d’Inde in French… but it is also known as a “Cuy”, which has the exact same pronunciation as couilles (or balls / testicles). In the video, Tisssyre narrates how to best conduct a monthly self-examination of your Cuys. While giving the instructions, an actor is holding two guinea pigs in hand, fondling them in various ways and positions. It’s hilarious and has caught on like wildfire. You can view the YouTube version of the advertisement here: http://www.youtube.com/watch?v=uBedYZBEu_c. In closing, Découverte can be viewed across Canada on Radio-Canada every Sunday at 6:30pm, with re-runs on Saturday at 8pm and Sunday at 2pm. You’re going to get quite a dose of insight with this post. But I’m going to keep this one pretty informal and I’m going to shoot from the hip. I knew I was going to get to Sugar Sammy sooner or later – but considering what has been happening since around June, I’m going to do this post now instead of later. No matter where you turn, all you hear is the Sugar Sammy controversy – and, under most circumstances, you wouldn’t think it should be a controversy — but here’s where language politics come into to play. For many readers who do not have much interaction with French on the ground, this might be your first insight into language politics. It’s something that comes up once in a while, usually in flare-ups, with this being the latest one (the prior bout was during the debate surrounding la Charte des valeurs québécoises – which spawned loosely-unrelated discussions trailing off in all directions, such as proposals to force Federal institutions, CEGEPS and small companies to adhere to la loi 101). I’ll try to be as general as I can in this post to give you a sense of what is happening in this latest bout involving Sugar Sammy. I will say upfront that I can see both sides of the fence — there are always two ways to look at something — so read this post with an open mind. Sugar Sammy is the story of the remnants of what is left of Language Politics in Montréal. I’ll give you a bit of background on what Language Politics are, because Sugar Sammy is being associated with it at the moment. In large part, Language politics is a notion I think people are getting tired of, and they just want to move on (I’m not speaking for myself – I’m speaking about what I’m seeing and hearing).. Language politics is a term for the supposed tensions between Anglophones and Francophones – over the use of English in Québec as a lingua franca in public, sometimes in private, sometimes in school, and also sometimes in business. It used to be a major issue. Up until the 1960s, Québec was a very unequal society – Anglophones controlled the business spheres and lived in their own world, imposing English on Francophones in any business interactions. Francophones were agrarian, labourers and elected officials, dominant in other occupations (such as law & accounting, as well as education via the church), and had little opportunity to change their lot. If you economically wanted to get ahead, you couldn’t do it in French (you had to speak English) despite Francophones being a majority in Québec. Even though the governments were Francophone dominant, there was little desire to upset this strange balance. They would rather grant large influence to the Church to care for many day-to-day ground level programs, and simply bring in the resulting tax money. Occupations such as modern-style farming and many blue-collar jobs were out of the question for anglophones, even if they wanted them. The Two Solitudes were alive and well. If people wanted to mix (as some dared to do on both sides), society didn’t take kindly to the idea. It was very strange: it wasn’t forced segregation in the sense that we know the word today (it perhaps was a type of self-imposed segregation of the willing on both sides), nor was it an inferiority/superiority complex (both sides felt superior on their own side of the linguistic lines), and it really wasn’t a caste system. It was just that people didn’t mix on the streets, and they fell back into comfortable zone, demarcated by positions and occupations in life which fell along linguistic lines. But such a societal structure could not last forever, and as the world changed, things were bound to reach a breaking point when change must occur. It was such a different place. I think if any of us were to travel back in time to that period, nobody would recognize it – the way of life and the people of the period would be as foreign as alians. I know we all learned about it in school across Canada, and we’ve all seen the videos from the period, but I’m not sure that truly gives an idea just how much both sides kept to themselves and kept themselves self-segregated on the home front. It’s amazing to think how much the country has changed and moved forward since that period, both Anglophone and Francophones, both Quebec and all other provinces. This transformation, too, has shaped out collective values as a nation – and these values never seem to get enough attention. It was a tremendous change we underwent, as all people on both sides, in all parts of the country. It should be talked about and celebrated. Legal advances and rapid changes in attitudes brought changes to this equation during the Quiet Revolution of the 1960s and 1970s. It was a period of rebalancing (Francophones were the majority, and thus French became the legal and public language – enforced by law). It was a very difficult transition on both Anglophones and Francophones, and lots of sour politics and bitterness were involved. However, the heat of it occurred a couple of generations ago — which, actually was a long time ago, considering the pace of change today. In today’s modern society, French and English has achieved a balance point and people have moved on. For the most part, language politics (in the sense of how it used to be known) has been reduced to the odd isolated flare-up. Sometimes the flare-ups can be a bit “larger”, even artificially created for the purpose of scoring political points. But for the most part, society has achieved a happy balance, and language politics have been mostly relegated to the past. French is healthy and secure as society’s lingua-franca – and people don’t feel threatened anymore by English. Here is some context from the ground on how we’ve moved beyond language politics… There are still some sensitivities, and I am conscious of it. I suppose if you can speak French, but (heaven forbid) you ardently refuse to and you obstentiously demand service in English, yah, that could get someone’s nose out of joint… just as it could get anybody’s nose out of joint in any part of Canada. (Imagine if someone demanded service in German in Kamloops, BC, and then had a fit or became even more demanding if they didn’t get that service in German … what would you think if you were the employee having to deal with that person?). 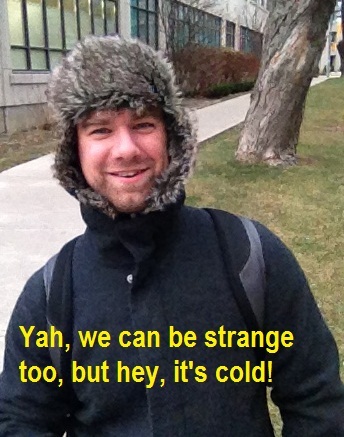 So yah, I try to use tact and politeness in public, and I speak French when I’m in Québec – that’s reasonable and normal. I’ve accompanied visiting friends in Québec on numerous occasions; friends who don’t speak French, and I’m not always acting as their translator. But I don’t need to be their translator because when those friends approach someone in English in a restaurant or store or elsewhere, my friends are polite and considerate, and staff are very polite, open, and helpful when they realize these are visitors who don’t speak French – again a very reasonable situation. And most people I know, when they reach the end of their trip, leave with a feeling that Québécois are some of the nicest, most polite, most sympathetic people. There you go! So you know what? If someone in the service or transportation industry in Québec cannot speak English (and that definitely does happen ), they’ll simply tell you, just like that person in Kamloops would tell you they can’t speak German. There’s nothing unreasonable or unfriendly about it – it’s just a fact. You just use common sense, empathy and manners, and you won’t have any problems. People are nice if you’re nice. Québec Anglophones, for the most part, tend to be very bilingual and don’t hesitate to use French as one of their two lingua-francas when going about their daily lives in public. However… there are rare exceptions to both of the above (ie: there are a few Anglophones who live in Québec who refuse to speak or learn French… and there are a few Francophones in Québec who do view anything English as the ultimate threat, either to French, or to certain political aspirations – it’s the old Two Solitudes, but a highly politicized one). It’s when these two “small” worlds meet that we see the odd flare-up of language politics. By “flare-ups”, I mostly mean certain political commentators and specific politicians – usually the same very vocal ones – tend to have super-sensitive nerves when it comes to language. If language laws are not followed to the letter, of if language and nationalistic politics are even joked about, you would think it’s the end of the world for these few people. Even though these types of people are few in numbers, every society, every country, every province has these types of people (I’m sure you can think of some who live in your backyard, regardless where you live in the world). The issues may be different, the context may be different, but you know the type of person I’m talking about (they’re sensitive and they easily make a mountain out of a mole hill). 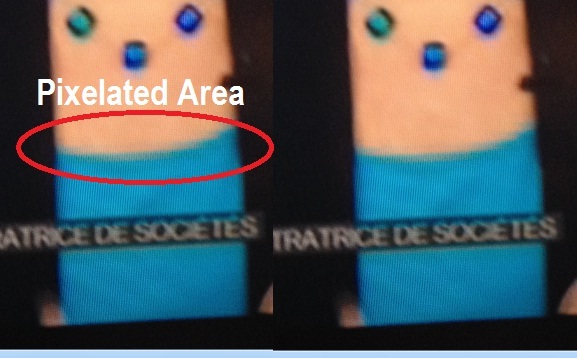 In Québec, however, due to the insular structure of media, these very sensitive people have a disproportionately large, easily accessible microphone (sometimes through networks and talk shows friendly to their cause, sometimes through newspaper columns, other times as lime-light politicians) – and you hear them, even you if you don’t want to. Where you notice that times have really changed in Québec is how the public is reacting to them; most people seem to just tune them out. If this was 50, 40 or 30 years ago (or even 1995), the public would probably be taking up the banner of this very vocal group. But they’re not anymore. So the public hears them, but just takes it with a grain of salt. So how does this all fit in with Sugar Sammy? Sugar Sammy is a widly popular comedian. His stage name is Sugar Sammy (a nickname from university), but his real name is Samir Khullar. The closest, best known Anglophone comedian who I think best fits his style of humour would be the stand-up comedian Margaret Cho, and the type of acts she performed 15 to 20 years ago (perhaps you can you already guess where I’m going with this and why I’m talking about “Margaret Cho“ and “certain sensitivities”??). Don’t get me wrong, Sugar Sammy is very much his own man, but there are similarities with Cho – and this kind of self-depricating, figer-pointing, un-PC humour is making him widly popular. Yet there is a small, but extremely vocal group of people, those who I described above, who have their shorts in a knot about his comedy acts. It’s important to understand the context of Sugar Sammy’s background and humour in order for this whole post to come together. He was born in Montréal in 1976 to Indian immigrants. This was right about the time that the children of immigrants in Québec had to start attending school only in French (Bill 101, or la Loi 101, made it mandatory that the children of immigrants could NOT attend school in English – it was viewed as a question of rebalancing society). Apart from a brief time when he took his comedy acts to the Middle-East, he has lived his entire life in Montréal. And Immigrants who know neither French nor English (often East European or Latin American countries). Various neighbourhoods in Montréal attract immigrants along the above three lines. Côte-des-Neiges attracts many immigrants who do not have a prior knowledge of French, but who often have a knowledge of English. Therefore, despite the fact that Sugar Sammy grew up in the French education system, and grew up fully integrated into Francophone society, his friends and family, and many of the people in his neighbourhood spoke English when he grew up. Therefore, he’s fully bilingual, he feels Québécois, and he IS Québécois (I mean, if he isn’t, then who is?). But… he has an English accent (which plays into this overall story, because this small vocal group, the one who has it out for him, is labeling him as a troublemaking outsider… hence the “sigh” in the title of this post). Now back to his humour… He does stand-up comedy. Most recently, he’s been doing stand-up in French for Francophone audiences all over Québec. It’s self deprecating humour (making fun of oneself and one’s own society). He “plays the role” of the “outsider” Anglophone (he purposely accentuates the notion of Two Solitudes for comedic effect), and then cracks political jokes at the expense of mostly sovereignist Francophones. He also cracks jokes at Québec’s language laws, and at his own ethnic background. He’ll sometimes do it in an accent, either English or Indian, just as Margaret Cho does her Korean accent. His jokes are very un-PC. Basically, he doesn’t spare anybody – his jokes are at his own expense just as much as they are at others. Francophones and Anglophones alike can’t get enough of him and they are flocking to his shows… thousands and thousands of people. His fans (which is by far much of Francophone Québec) adore him, and they consider him to be one of their own (just as Sugar Sammy seems to adore them) — he’s really the talk of the town right now. They’re going to his shows because they want to hear him laugh at Québec’s politics. They want to hear him poke fun of Language Politics. It really is a reflection of how society has moved so far forward compared to even 20 years ago. People can, and DO WANT to laugh about these things. It’s almost like we’re living in, and seeing a new relaxed Québec… one that has been waiting for some breathing space for a long long time. I don’t know what it is or how to describe it, but things just seem different – like a content balance has been achieved. But Sugar Sammy’s humour has not gone unnoticed by an ultra-sensitive group (those who I described earlier)… and some them are (figuratively) out for blood. Sugar Sammy knows this, and has exploited it to attract even larger audiences. When this small ultra-sensitive group barks and complains that he’s bashing Francophones and Québec society, the complaints backfire and the public comes out in droves to Sammy’s shows. They want to see what all this rigmarole is about – and they don’t want to miss out on the laughs. So then guess what did Sugar Sammy did… he upped the ante! This summer he decided to pull a few stunts to get a bit more attention. He flaunted the language laws (a very sore topic for this small vocal ultra-sensitive group) and published his advertisements in English only (which is against language laws in Québec… you can publish in English and French together, but not English alone). That infuriated the vocal few. And I mean really infuriated them. But Sammy’s audience numbers then shot through the roof!! He became the hottest thing of the entire summer and fall. I was shocked. I was not shocked that there are those vocal few who seem to get upset about this stuff (after all, we’re used to seeing these same few people all the time, being recycled as guests from one talk show to another, from one blog to another, from one newspaper to another). But I was shocked at the degree to which these few people are getting upset. On the flip side (and this will put things into perspective… It did for me)… a good number of high-profile sovereignsts came out and defended Sugar Sammy, telling this other group to take a chill pill and cool it! They can see comedy for comedy, and they know how to separate it from reality – just like the rest of the public. Denise Bombardier was one who came out against what could be considered the unreasonableness of these vocal few. She defended Sugar Sammy – and yet she is considered very nationalist (but now you can see why I mentioned a couple of times in earlier posts that I respect and like her… she keeps things in perspective – even if you don’t agree with the end means of her politics). My respect level for her shot up by 50 points right then and there. So, that my friends, is Sugar Sammy and the hoopla that’s currently surrounding him. He’s hilarious. He makes us laugh at ourselves. And he gives everyone breathing space. Tension is released when you can laugh, and it really is the best medicine. He’s doing something very good. In the end, the public bashing of Sugar Sammy by a vocal, ultra-nationalist, super-sensitive few is allowing the public to see that politics and extreme emotions and extreme viewpoints do not mix – and the public has been turned off because of it. It’s good to see that people just want to chill. Now you have a little bit more knowledge on how society is dealing with, and viewing a whole a host of issues — stuff you can’t get from textbooks. Hopefully you’re finding it insightful and interesting. Something important which I neglected to mention… Sugar Sammy, for the most part, has been doing his comedy acts in French (only on rare occasions, such as annual comedy festivals, and trips outside Québec does he do his shows in English). Thus his shows mostly attract Francophone audiences, for shows done in French. I’m not sure that the same jokes would go over as well if they were done in English (which is probably why Mike Ward also does his acts in French). I’m not sure I would even find the same jokes funny if many were done in English (the audience would be different, and at that point, yeah, the jokes would have a different meaning). Today is Thanksgiving in the USA. In Canada, we always have our Thanksgiving the second Monday of every October, rather than the last Thursday in November (the US holiday). But it wasn’t always like this, and even today, Thanksgiving is celebrated differently in Anglophone Canada and Francophone Canada. The second was when French explorer (and founder of New France), Samuel de Champlain, gave thanks for the survival of his explorations in 1606. It was held on Île-Royale, present day Cape-Breton, Nova Scotia. As commemoration of his ceremony of thanks, Champlain founded the “Order of Good Cheer” (l’Ordre de bon temps), which has been reconstituted by the Nova Scotian provincial government – and thus which can continue to receive recipients today. It could be the oldest order in North America. It is quite possible there were other Thanksgiving celebrations in New France, between 1606 and 1621 (owing to the fact that there was already an Order established around it). However we may never know for sure, since Thanksgivings always coincided with an event, giving rise to suddenly call a ceremony of thanks, rather than being cemented in specific dates. Thanksgiving ceremonies were also held post-1621 in all parts of British North America (both in what is now the United States and Canada), as well as New France, all with a religious connotation, all related to an event warranting thanks, but the specific “Turkey tradition” still remained in the New England regions and regions which would become the USA. During the American revolution, the shores of Lake Ontario in Upper Canada (present day Ontario), and the Eastern Townships of Québec received a massive influx of “Loyalists” who did not wish to succeed from the British Empire. They brought with them the Turkey tradition from what was quickly becoming the United States. Gradually, with time, their tradition of incorporating a Turkey meal into the already existing Thanksgiving ceremonies of Anglophone Canada had begun to spread. But owing to the the French / English language lines, but probably more owing to the Protestant / Catholic religious lines (remember that Thanksgiving was still primarily a religious ceremony), the Turkey Tradition was not incorporated into the Francophone Thanksgiving celebrations in Canada — rather it remained very much a church-based celebration of prayer in Francophone Canada. However, the secularization movement of the 1950s and1960s had the effect of pretty much wiping Thanksgiving off the map in Francophone Canada. It was religious matter, celebrated in church. When Francophone society secularized, people stopped going to church and the celebration disappeared. Francophones did not have the (Loyalist) Turkey Celebrations on which to fall back on. To this very day, Thanksgiving is considered by most people in Québec simply as a statutory holiday – a day off from work to be filled with other activities like travel or leisure. I know a number of people in Québec who, in fact, have never even eaten a Turkey once in their lives (Turkey, at least for Francophones in Eastern Canada, is not always served as a Christmas dish – it depends on the region of Québec and the family. Sometimes Turkey at Christmas, for some families at least, is supplanted by other dishes such as Francophone Canada’s traditional meatball stew and other Francophone Christmas dishes). So with that, to our American friends, I wish you a wonderful and Happy Thanksgiving !! This is the 100th post. I’m approaching this blog from the standpoint that each post is not just its own tid-bit of information, but rather the piece of an overall puzzle. When we look at them together, we begin to see the portrait of a society, and themes begin to develop (things we cannot necessarily learn from textbooks, travel guides, one-off articles, nor a vacation). In earlier posts, I mentioned that pop-culture (along with other aspects of our culture) is all around us. We live it, or at the very least, even without realizing it, we are surrounded by it everywhere in our daily lives. It provides a focal point for commonality and belonging and its references are instantly recognizable. With each post, I’m trying to introduce you to a little more of our Francophone culture. For many Anglophones, these references may not be as apparent as they would be for someone who, say, moves to Québec, or lives life with a strong footing in Canada’s several Francophone societies. By writing this blog, I’m hope I can help to preclude you from having to physically live within Francophone areas of the country in order to begin to understand it better – and hopefully you can feel a bit more connected to it as you continue to take your own journey. It’s an important component of our country, our identity and our lives; be it past, present, and future. We live together, we make economic decisions together, we make political decisions together, and we make important societal decisions together which affect all of us – regardless of how visibly apparent those decisions may be. But the sum of these joint decisions have shaped our collective psyche. We would not be the same people, and we would not view the world and ourselves the way we do now had our country not had it’s bi-cultural roots. Some people say we’re a country built on “compromise” for just those reasons (remember hearing that magic word from junior high school social studies and history classes?). They say it has shaped our culture and temperament, and makes us unique. But actually, I don’t think it’s “compromise”, but rather “collaboration”. I say this because compromise infers you have to give something up to to get something else that you want (yes, that is sometimes true). But that’s not really how the country has been built, especially in more modern times. Rather, we’re in a country which has been built, and continues to be built, from co-operation and working together – with each of our two linguistic groups adding something of value to the table with every decision being made. We’re just not overtly conscious of it because each contribution becomes (for the most part) seamlessly integrated into our lives, and then just becomes part of our overall identity. You may recall in the post “Our accents – Post 1” I discussed a little bit about how regions and towns in Québec remained in relative isolation from one other until the beginning of the Quiet Revolution – so isolated from one another, that whole regions, and in many cases, individual villages, developed completely different accents and ways of speaking. However, elsewhere in English Canada, massive migration movements were taking place during the period of 90 to 150 years ago. New railroad lines saw people move all around, and there was a great deal of back-and-forth movement between the Western Provinces, Southern Ontario and Anglophone Atlantic Canada. There was so much movement over such a vast stretch of land (the world’s second largest stretch of land), that apart from the very strong regional in English accents in the Atlantic Provinces, other distinct regional English accents in Canada were greatly muted (we have accents – I can certainly hear the difference between Northern Alberta, Southern Saskatchewan, and Southern Ontario English for example). But the differences in our accents in English were of a much lesser degree than in French, owing to the high level of inter-regional movement by Anglophones of the period. Because Québec communities did not experience such a long history of interconnectedness, they came to value “local community” as being vitally important to an individuals’ identity : be it the church, be it extended family which often did not leave the town (hence whole communities having only a handful of family names), be it the local industry, or be it the local newspaper. The late Pierre Péladeau Sr., the founder of the media giant Québecor (and the father of Pierre Karl Péladeau) was very much was a Québec nationalist. He believed whole heartedly in the values that Québec holds dearest. In a broad sense, that means he very much valued a sense of local community. It was something he culturally understood, and he built his business around it (as I’ve learned from my own experience in the business world, you stick with what you know). His business style very much fit into those values and he was committed to local news. It probably was a natural fit since he knew he could make money from it. As he built his business empire, he founded a local newspaper empire across Canada; newpapers which gave citizens of dozens and dozens of small communities across Anglophone Canada a voice, an outlet for local citizens to express themselves, stay engaged, stay connected with one another, and to remain profoundly attached to (and involved in) their local towns. Pierre Péladeau Sr. played a direct role in spreading Québec traditional values of local community right across Canada – forever changing how individual Anglophones view and relate to themselves, relate to their communities (especially newly founded ones), relate to their neighbours, and even to their country – much in the same light as Québec Francophones relate to the world. In a sense, he imbued Québec values into Anglophone culture across Canada, and we, as Anglophones, have never been the same people since. This is one area where we now share a strong sense of shared values with our Francophone compatriots. An effective way to show you to what extent Péladeau “brought home” Québec’s sense of community values into Anglophone lives would be to actually list all the communities in which he owned a newspaper (the list is long, so just quickly skim them over… but the sheer number makes an impact): The legacy of Péladeau Sr. can be found today in the likes of all the “Sun” papers (Ottawa, Toronto, Winnipeg, Edmonton, Calgary) “Tribune” papers (Grand-Prairie, Welland), the “Times” papers (St. Thomas, Brockville, Orillia, Owen Sound), some of the “Examiners” (Barrie, Peterborough), many of the “Observers” (Pembroke, Sarnia), some of the local “Star” papers (Sault Ste. Marie, Sudbury). He also imbued Québec values of community into our lives through his papers in many others in places such as London, Simcoe, Stratford, Kenora, Portage La Prairie, Fort McMurray, Belleville, Brantford, Chatam, Cornwall, Kingston, Niagara Falls, North Bay, Northumberland, St. Catherines, Timmins, Brantford, Chatham. His smaller chains of papers helped to keep community spirit alive in many smaller towns across Canada – often in places where the community was new and in need of a sense of local togetherness, or in some cases it may have been older and on the cusp of decline (which heightened the need for a sense of community). These include papers in Alberta: Airdrie, Camrose, Cochrane, Cold Lake, Devon, Drayton Valley, Edson, Fairview, Fort Saskatchewan, Hanna, High River, Hinton, Lacombe, Leduc, Mayerthorpe, Nanton, Peace River, Pincher Creek, Sherwood Park, Spruce Grove, Stony Plain, Strathmore, Beaumont, Vermilion, Vulcan, Wetaskiwin, Whitecourt, in Manitoba: Altona, Carman, Interlake, Morden, Selkirk, Stonewall, Winkler, in Saskatchewan: Melfort, Nipawin, in Ontario: Bancroft, Barry’s Bay, Bradford, Chatham, Clinton, Cochrane, Collingwood, Elliot Lake, Fort Erie, Frontenac, Gananoque, Goderich, Haliburton, Ingersoll, Innisfil, Kapuskasing, Kenora, Kincardine, Lakeshore, Leader, Lucknow, Minden, Mitchell, Norwich, Paris, Pelham, Petrolia, Stirling, Strathroy, Delhi, Napanee, Thorold, Tillsonburg, Timmins, Trenton, Wallaceburg, West Lorne, and Wiarton (you think Willy reads this last one?). (Quick note: The newspaper branch of Québecor (at least the papers outside of Québec) are soon to be sold to another company in Canada). Universal free healthcare (symbolic of a “Don’t worry neighbour, I’ve got your back!” society) was born at a provincial level in Saskatchewan. Even though we’re not a socialist country (overall we value efficiently managed taxes at a reasonable rate, and the free-market), the notion of looking out for each other is highly valued, regardless if you’re NPD, Liberal or Conservative (all three parties of the spectrum value this — and it’s to be commended that all three parties overall defend the same values Canadians care deeply about – of course with some nuances in program execution). Our values of mutual assistance has symbolically come to be embodied through the universal healthcare movement, spreading province-by-province until eventually all the provinces were working together (with the added participation of the Federal government) to ensure they could maintain mutually comparable standards and best-practices. This makes it so we can all expect the same level of care across the country, regardless where we seek medical attention. Because the program is provincial jurisdiction, it requires constant dialogue between the provinces to maintain consistency. Otherwise the system would become fragmenting along provincial lines and would be at risk of collapsing. I cannot under-emphasize just how much inter-provincial cooperation and collaboration at a government-to-government level is involved to make this program work – and for the most part, we pull it off very well. I can vividly remember Alberta’s flirt with healthcare privatization back in the Ralph Klein years of the early 1990s. Something many people across Canada, and particularly in Québec, may not realize is just how serious the economic situation was in Alberta in the early 1990s. The resources industry collapsed, and Alberta was faced with so much debt that it threatened the viability of Alberta as a stand-alone province. Austerity was seen as the only option. Something had to be done, and fast. Premier Klein had some very difficult decisions to make (and I very much admire him for having made some very tough calls in the face of enormous pressure). I can still recall when I was in grade 10, the province’s financial situation was so bad that our school had to keep the lights turned off during the day. The halls were lit only by emergency lights, and the classroom lights were turned on only if there was not enough light coming through the windows to read, write and see the blackboard. Photocopying was banned because there was not enough money to buy paper or run the photocopiers. Every penny was watched. With mounting health-care costs, Klein had it on his agenda to try to privatize elements of the healthcare program. It had the potential to become a very slippery slope. Québec, at the time, was one of the most ardent supporters of Saskatchewan’s universal healthcare dream. Despite the constitutional mayhem of that period, Québec politicians and those in Québec’s Ministry of Health were able to compartmentalize the constitutional rigmarole from the necessity of doing day-to-day business. They provided the moral support, healthcare infrastructure assurances, additional perspectives, encouragement, sober second thought, and advocacy which helped to convince Alberta to make the difficult decision to stay in the fold of universal healthcare coverage at a time when Alberta was economically on its knees and seriously considering alternative options. In a nutshell, our Québec compatriots, along with other provinces, basically sent continuous reminders that we’re all in this together, and it is an aspect of our society to maintain. The signals were many: “This is something we value very much and we’re all in this together. Saskatchewan came up with it, and we fully believe in it. We’re going to continue to contribute to this national project of universal healthcare, and in that respect, you can count on our support come hell or high water. Are you sure you want to take steps which could lead to its dismantlement. Look at what we’ve built together – something which was so difficult to build, but which we actually managed to pull off… and it actually works — we did it. Think about it – think very very hard.“ Klein eventually backed down on the health-care front. There were a number of reasons, but it was also in part because of this type of sober-second thought and moral support offered by Québec, and other provinces. It also helped to entrench Canada’s (including Albertan’s) overall reaffirmation in support of the program, and our values and commitments to our fellow countrymen and women. There may be a time when Canada as a whole may once again examine reforms to the system, but if and when that happens, it will likely be when the country as a whole is ready to sit down and look at options which work best. These are deeply profound values which we, as Anglophones and Francophones alike, share in no small degree. I was listening to an interview Denise Bombardier gave the other day in which she discussed the death of her former spouse with whom she separated decades ago. She was at his bedside at the moment of his passing. It was the second time she was physically present for the death of a loved one, and her recount of the moment was quite emotional. In a nutshell, he was in a palliative care centre (funded as part of our universal healthcare system). She was especially moved by the tenderness of the care he receive, the consideration of the staff (her ex-spouse was in a coma, but every time they touched him, the staff gently told him there were going to do such things as turn him, or change his bedpan). She said the discreetness and care with which the staff treated the family was almost like they themselves were close family members. She said what struck her was that staff told her the majority of patients in the facility do not have family to visit them. Yet Bombardier saw the staff stepping up to the plate, every single time, to become surrogate family. They made every effort there were people around the dying, people who cared for them, and in many ways tenderly loved them (even though the staff were strangers). She said nobody in the public facility dies alone. Bombardier was terribly moved in the interview and she made an emotional point of saying these are Québec values, that this is the Québec she loves so much, that this is the Québec she has devoted her life to. Denise Bombardier was so very right. These are profoundly deep Québec values, and these are also values shared by us all across Canada. When my grandmother passed away in Moose Jaw, Saskatchewan a couple of years ago, this was the exact same treatment she received and which I saw too. We have built something special together which has served as a base to build an entire value system. I don’t think she could have said it better. I’d like to give one more example of how our values, as a nation, are intricately tied across linguistic lines – and how we have together mutually influenced those values. Today, the economic situation in Alberta is completely different than the early 1990s. Since the austerity days of the Klein years (which in my opinion, did save the province from economic collapse), Alberta has been blessed with the strongest economy, lowest unemployment, one of the fastest economic growth rates, and one of the most substantial population growth rates in all of North America (within the next three years, it is predicted to even overtake BC as the most populous province in Western Canada). It also has the highest per-capita international immigration rates in Canada (due to immigration, Alberta now has one of the highest percentage of visible minorities in Canada, standing at almost 20% province-wide, and substantially higher in the major metropolitan areas of Calgary and Edmonton). Alberta’s per-capita income of $78,000 a year is also the highest in all of North America (but having one of the highest incomes in the world comes with its own set of challenges such as an increasing cost of living and how to convince students to stop dropping out of high school for $100,000 jobs which are readily available for 17 year olds). Despite this incredible situation, Albertans have never forgotten the support it received from Eastern Canada in its darkest days (not just the early 1990s, but dating back to the even darker depression days between the 1920s and 1940s). Nor to Albertans ever take the oil boom for granted – fully aware that there are boom and bust cycles, and the winds can change on a dime. Albertans and people from Saskatchewan still recall how the Atlantic provinces sent repeated shipments of salted fish, and Québec and Ontario sent trainload after trainload of free fresh fruit during the 1930s. The “Relief Program” in which Québec and Ontario were the largest contributors, literally helped to save Alberta and Saskatchewan from starving, and helped to get the Prairies back on their feet as we went into WWII. Even to this day, my grandfather from Saskatchewan still talks about the Relief Program. I have a photos he took of Eastern Canada’s efforts from the late 1930s or more likely the early 1940s, when they airdropped supplies over the Moose Jaw area of Saskatchewan to help families like my grandfathers’. It’s a remarkable photo with tremendous symbolic value (an extremely rare photo because people back then did not just carry around cameras, and it as a complete fluke of nature that my grandfather’s family was carrying their camera at the time of an airdrop). Airdrops such as this cemented Canadian values of not only helping your fellow countrymen and women in times of need, but also your fellow provinces. 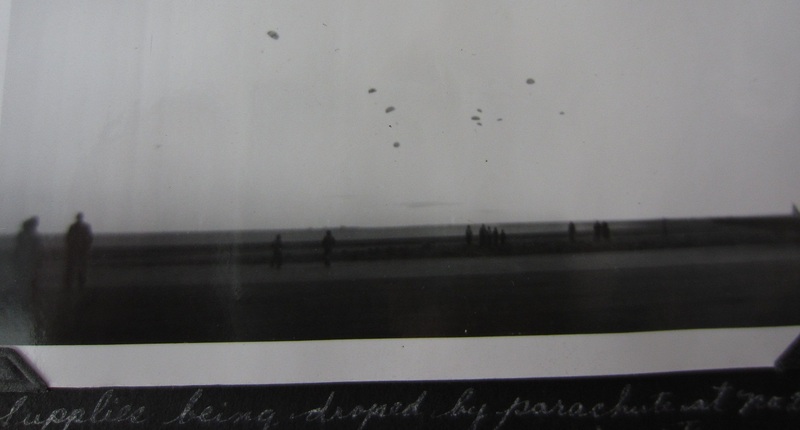 This photo of supplies being parachuted to the Prairies, captures in essence the birth of the spirit of equalization. It’s for these reasons, and many many more that Alberta and other “have” provinces generally are content with contributing to Canada’s equalization programs. (Wikipedia has a decent explanation on the equalization program here http://en.m.wikipedia.org/wiki/Equalization_payments_in_Canada). We (Albertans) were supported by Québec when times were tough and when we had difficulty making ends meet. At various times in its history, Western Canada would have found things very difficult without the past support of Québec and other provinces in Eastern Canada. And now it’s Alberta’s turn to help Québec. Québec is faced with serious economic issues and is having a difficult time getting its own financial house in order – but they’re trying (these efforts of economic redress have been front-page news in Québec for the past few weeks). For the moment, Québec is the greatest recipient of equalization payments (approximately $9 billion), into which Alberta (along with Saskatchewan, BC and Newfoundland) are the net contributors. While Québec is going through this difficult period, Alberta is sticking with it and continues to pay into the equalization program, knowing full well it is the right thing to do. There are groups in Alberta who are complaining, but they are mostly restricted to the Wild Rose Party – and the Wild Rose’s support seems to have peaked in very low percentage ranges. Although there are very vocal elements in their party, their views on equalization are not representative of the vast majority of Albertans, and they remain on the fringes in this sense. That certainly doesn’t mean there are not things which couldn’t be done different or improved to become more effective. But Albertans have repeatedly voiced their support for equalization as a civic duty, knowing it’s ethical for us to be there for others, and having the comfort of knowing others will be there for us – just as they have in the past. Equalization has become one of the most valued aspect of our country, both economically and socially. We’ve been there for each other, Québec, Alberta, Anglophones and Francophones. Our shared values continue to compel us to stick with it. It also serves as incentive to strive harder to increase our own provincial economic might (equalization is a temporary measure to lend a helping hand to provinces until they can become “have” provinces also). There’s not much more Canadian than our provinces standing side-by-side through thick and thin. It’s in our nature and values – and we’ve developed these values together. I very much appreciated that you’ve taken the time to read through the past 100 posts, including those of you who have become regular followers. I also appreciate the emails of support. I look forward to continuing to bring you more posts with various cultural references to help you bridge the Two Solitudes in your own way.